Crunchy. Toasted garlic. Sweet and salty. These are some of the "qualifications" that the kids look for when ordering a chicken dish. Actually, mine too! We all love garlic, especially with beef and chicken. Garlic makes everything smells so delicious and adds that kick to flavor. My latest restaurant find is BonChon Crunchy Garlic. 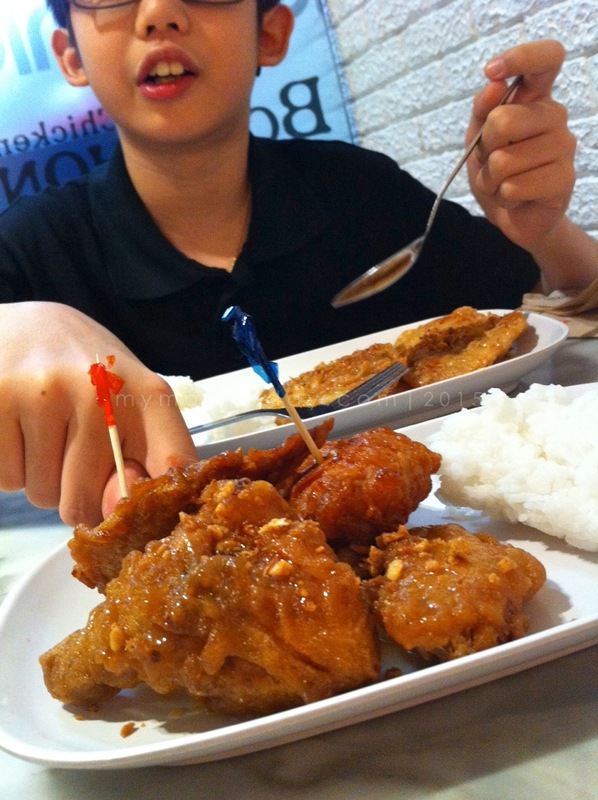 By this time, who doesn't know BonChon here? 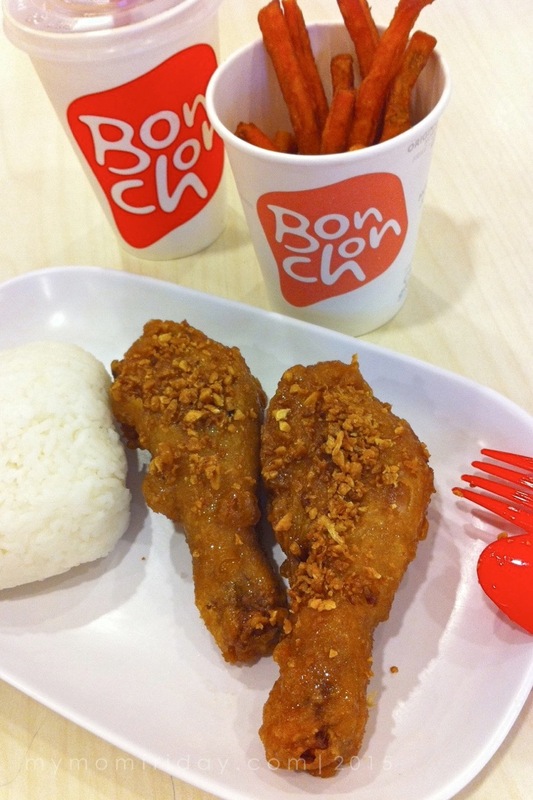 What we have grown to love from Korea's famous food chain, BonChon, is their unique and original crispy Soy Garlic glazed chicken. Now, BonChon comes in the Crunchy Garlic glaze that's also zesty sweet and salty, but this time it's sprinkled with lots of garlic chips on top for that extra flavor - truly addicting, especially for garlic lovers like us! I swear, panalo talaga 'tong new variant coz we love garlic and we love chicken, and it's a perfect match that's complemented by the crispy glaze. Even my in-laws loved it! 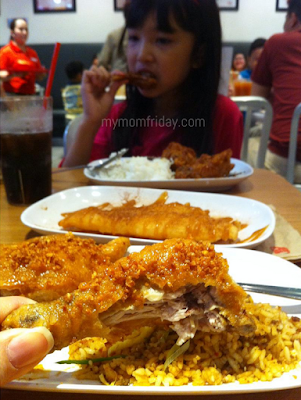 I really enjoyed BonChon Crunchy Garlic chicken and fish fillet. The girl remained loyal to the Soy Garlic, but the boy and I now prefer Crunchy Garlic every time we dine at BonChon. 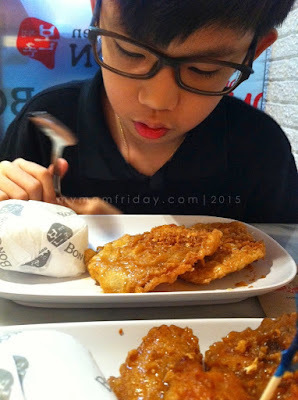 He's even "stealing" my garlic chips pa, as in pumipitas ng garlic from my fish! This photo below proves it, picking out the garlic, then next photo caught in the act reaching for my plate while I was taking a snapshot. The girl usually orders the wings while the boy wants the chops coz it's boneless already. 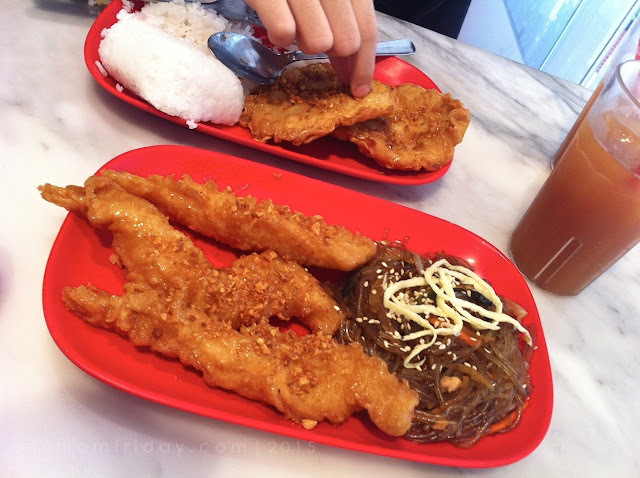 I suggest you try the Crunchy Garlic chicken and fish fillet, and match it with the Chapchae. Winner! 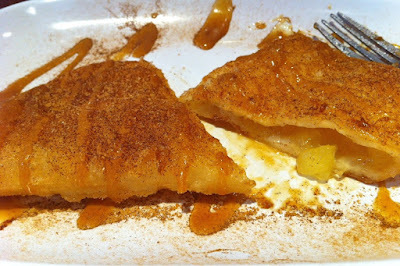 I also had dessert and masarap din yung Apple Caramel Crispy Crepe. 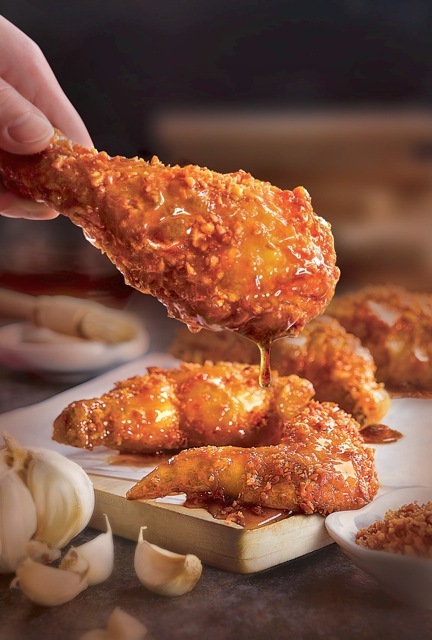 There's something for each member of the family at BonChon, with it’s signature sauces that are hand-brushed over each chicken piece -- Soy Garlic, Sweet & Spicy, Honey Citrus glaze, and now our top choice, the Crunchy Garlic. Have you tried it already? How was it? 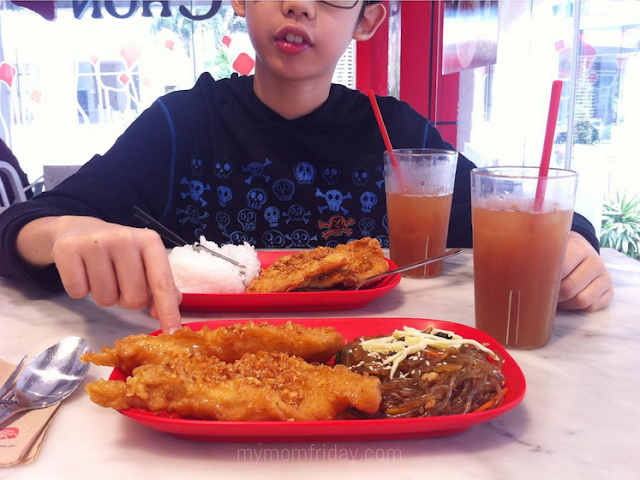 BonChon has 88 branches nationwide. 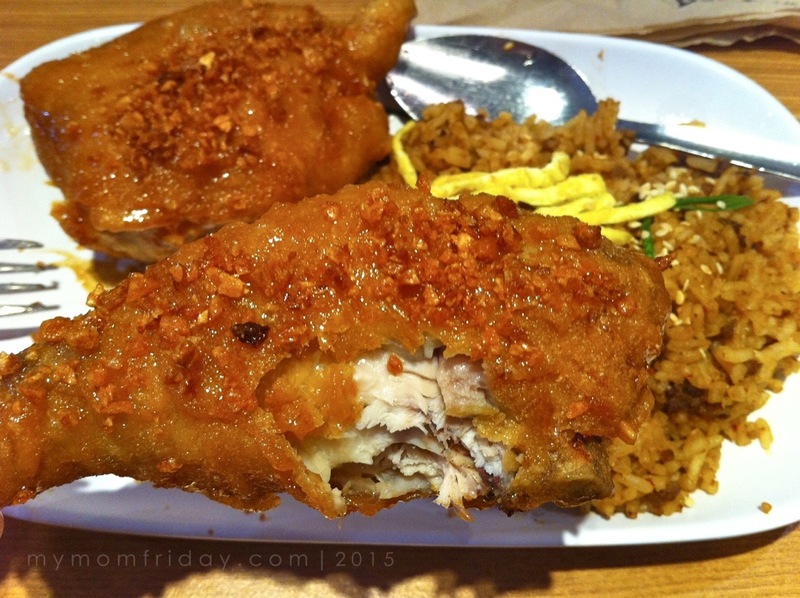 Photo of Crunchy Garlic Chicken courtesy of BonChon Philippines.